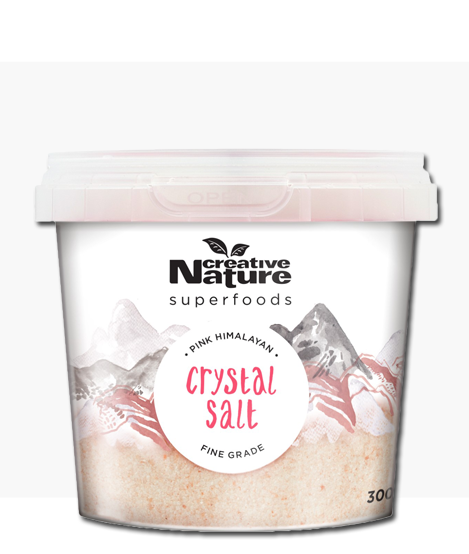 Our Organic Salt – Creative Nature Pink Himalayan Crystal Salt comes from ancient caves, deep in the Himalayan mountain range. It is salt in its purest form, unharmed by toxins or pollutants… all natural! 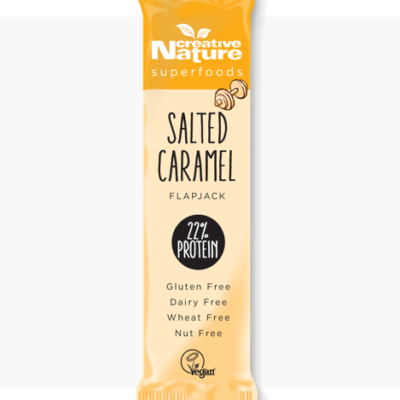 Completely different to the sodium chloride (table salt) that most of us are used to, this nutrient rich, natural salt contains all 84 elements found in the human body! Processed salt such as table salt has almost no minerals and extremely high levels of sodium, whilst Creative Nature Pink Himalayan Crystal Salt offers the benefits of the mixture of minerals present in it naturally! Pink Himalayan Crystal Salt has also been linked with numerous health benefits such as supporting normal thyroid function and healthy metabolism. And as it is in it’s natural form, it has no additives or preservatives and is definitely the salt of choice for us! You can use Creative Nature Pink Himalayan Crystal Salt as you would use normal table salt or sea salt- in baking or cooking to add taste or seasoning. However, you can also use it as a cosmetic product! Whether it’s for a bath soak or as part of an all-body or face scrub, you will find endless uses for this product and see how versatile it is. 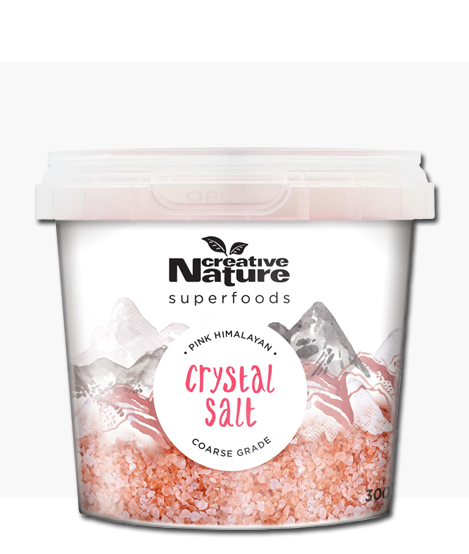 And if you prefer coarse or fine salt, we have you covered as Creative Nature Pink Himalayan Crystal Salt comes either coarse or finely ground! Ingredients: 100% Pink Himalayan Crystal Salt, and that’s all! Dissolve a handful of Pink Himalayan Crystal Salt in a litre of water. Add more salt until the solution is saturated and then keep in the fridge. Every day, add 1 teaspoon (3g) of your sole solution to a glass of water and let the magic happen! The Sole supplies the body with the natural energy stored in the crystals which the body can hold for up to 24 hours. 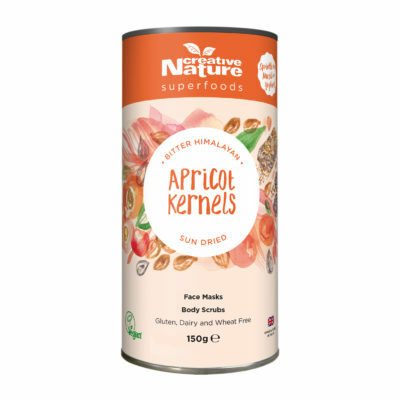 Can neutralise the alkaline/acidity balance in the body and normalise blood pressure. 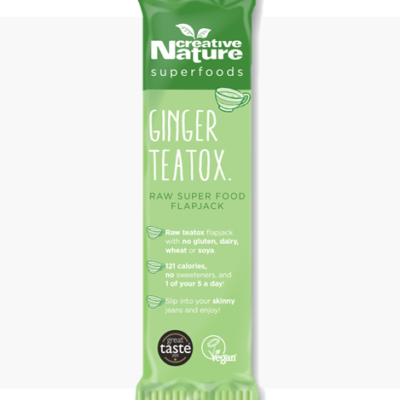 Can dissolve and eliminate impurities and built up toxins which lead to stones and various forms of rheumatism like arthritis and kidney and gall bladder stones. + Can lower the craving for addictive desires. Can help with skin diseases by cleaning the body from inside out. Sprinkle over your potatoes with some herbs for perfect roasties! Add to the bath and relax! Having come back from the Himalayas last year 2017 trekking i decided to buy this as i tasted the salt whilst out there from its natural source. I must say its the real McCoy and tasted just like the salt in India. Very flavorsome with a variety of foods. I highly recommend this as i only eat sea salt or the good stuff as they call it. I stopped eating regular table salt many years ago after learning the truth about it and how bad it is for you. You’ll not regret it once you’ve tried, i didn’t!! !